In 2011, the Ocean Spray plant in Kenosha, Wisconsin—the plant responsible for juice production, packaging, and over 80% of all of the country’s cranberry sauce—was facing widespread problems. The plant struggled with safety, performance, and employee satisfaction. Things had to change. To make matters worse, in a subsequent meeting with senior management, the direness of the situation was hammered home when the VP of Manufacturing showed Tim a picture of how the Kenosha plant was viewed by Ocean Spray’s senior leadership—a rusty, broken down VW bug. Tim got the point, the plant was broken. After the meeting Tim asked his VP boss for the picture, telling him, “I got it, I own it.” But Tim knew it wasn’t enough for him alone to see and own the problem, if they were going to turn things around, everyone at the plant would need to take accountability for where they were. This is Who We’re Going to Become! 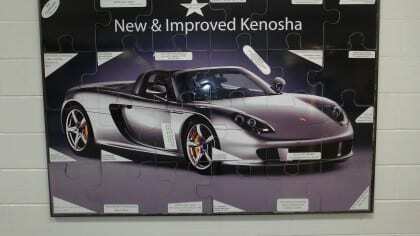 Tim soon showed the broken down VW picture to plant employees, explaining, “The only way we’re going to change this image is to own it.” But Tim didn’t want his people stuck with this negative image of themselves, so he then showed them a Porsche Carrera GT convertible, saying, “This is who we’re going to become!” Tim soon had the broken down VW blown up into a 4’ x 5’ picture and hung in the employee cafeteria, labeling it “Broken Down Kenosha.” He also blew up the picture of the Porsche and cut it into 24 puzzle pieces—each piece representing a challenge they needed to overcome or an obstacle they needed to solve. 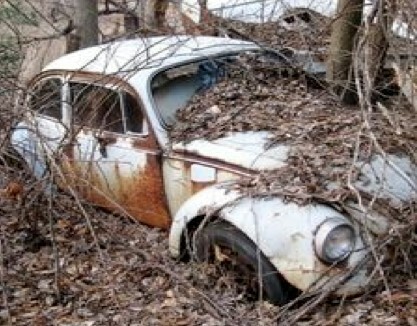 As they earned the pieces over time, they would eventually cover up the broken down Volkswagen. This ongoing puzzle build would be a daily reminder to all the employees about their progress in turning the plant around. One of the first things that needed to be addressed was getting the Kenosha’s management aligned around the plant’s Key Results, and what type of cultural transformation was needed in order to achieve those goals. In a two-day workshop that Partners In Leadership facilitated, the plant’s leadership teams defined four Key Results that everyone at the plant would be accountable to achieve, and then developed the plant’s Cultural Beliefs. Cultural Beliefs are core beliefs that demonstrate how people in the company need to think and act in order to create and sustain a culture that is accountable to achieve desired results. Peoples remembers that, “We deconstructed the culture and then reconstructed it around six Cultural Beliefs…The Cultural Beliefs are our guiding principles on how we behave and how we expect others to behave.” Partners In Leadership eventually trained everyone in the plant, and management and operations together presented the new Key Results and the Cultural Beliefs to all plant workers, emphasizing that delivering on Key Results would be a direct output of how well they lived their Cultural Beliefs. And to show they were serious, about this new culture of collaboration and team mindset, the leadership team began spending time on the shop floor. At first, this shocked plant employees and made them nervous, but they soon came to expect management to be there, listening, helping brainstorm obstacles, solve problems. The management team even set aside time to go offsite and review the feedback they were getting. If we get the accountability piece right, then we get everything right. In other words, our ability to continue to deliver on our Key Results depends on getting accountability right…the key to our ongoing success is going to be our ability to continue to embrace our Cultural Beliefs and our willingness to accept personal accountability in delivering on our Key Results.